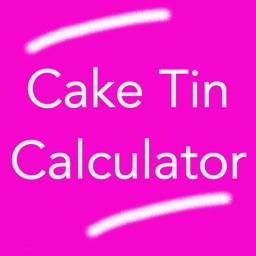 Cake Tin Calculator allows you to quickly convert ingredient quantities for different tin shapes and sizes. 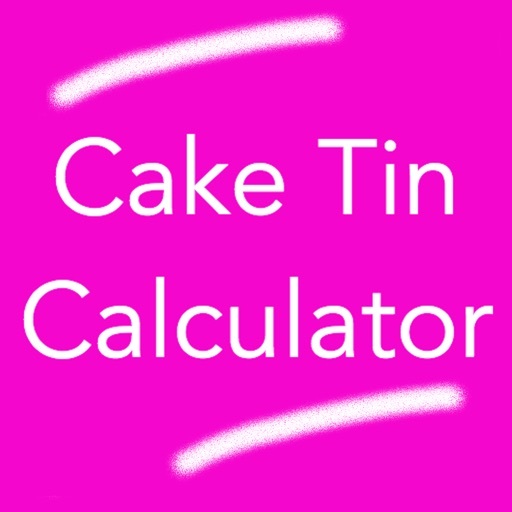 Everything is on one screen, no typing needed. 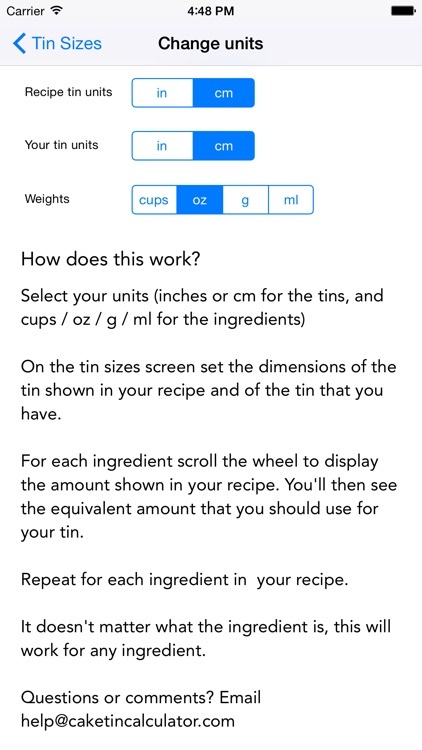 * Set the wheels to the tin size in your recipe, and for the tin size you are using. 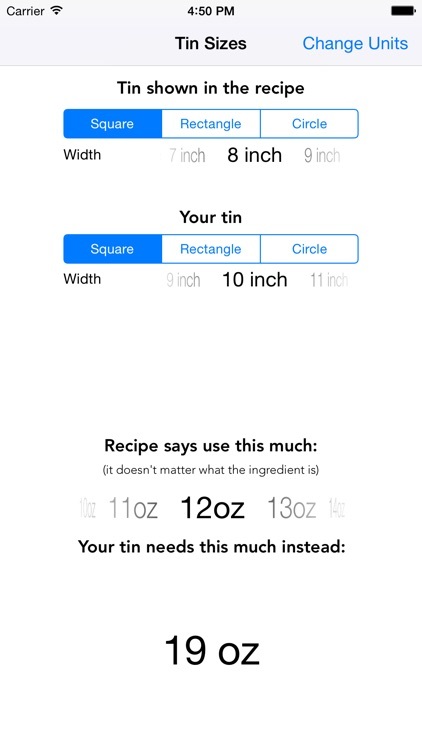 * Then, for each ingredient, just scroll to the quantity shown in the recipe and the corresponding quantity you need appears instantly.